This is a gift book with huge appeal across a variety of different occasions. Through a selection of quotations about life and living it looks at what happiness is, why it's so important and how we can find it. Heartwarming illustrations by the Wright Sisters make this a book that's hard to resist. - Publisher Happiness is what everyone's looking for. 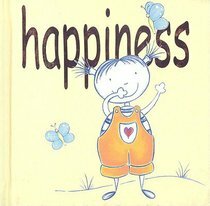 Through a selection of quotationsbout life and living, this gift book looks at what happiness is, why it's somportant and how we can find it. It includes illustrations by the Wrightisters. Happiness is what everyone's looking for. Through a selection of quotationsbout life and living, this gift book looks at what happiness is, why it's somportant and how we can find it. It includes illustrations by the Wrightisters.